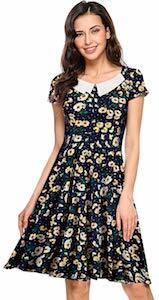 Now there is this Women’s Retro Daisy Dress that just look fun and is something you will love wearing. This dress is dark blue in color and on it, you can find daisies and they cover the whole dress and then on top, there are two white sections that make it look like it has a collar. Besides the daisy, you can also pick a polka dot or even a pineapple version and you can see those by clicking on the picture. 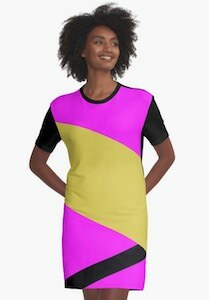 This daisy dress comes in many women’s sizes and is made from 98% polyester and 2% spandex.